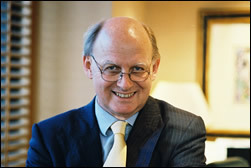 Anthony Grant is an Auckland barrister whose primary areas of specialisation are the Law of Trusts, the administration of Estates, and disputes about testamentary and other capacities. He is the most prolific author in New Zealand of articles on these topics and he regularly delivers Papers at seminars on them. He has conducted many cases in Company law, Securities law, land law, contracts, tort, and Equity and believes that a good understanding of these and other laws is helpful for the creation of strategies that will succeed in securing client objectives. The Sculptureum project is managed by others and Anthony maintains a full time practice as a lawyer.